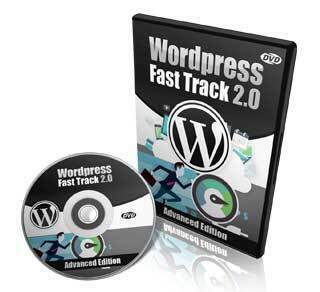 Discover how to become a wordpress expert within an hour with the easy to follow step-by-step wordpress fast track 2.0 video tutorial series. Sound so simple isn’t it? Without proper technical guidance, wordpress can be a real pain as there so many features and options that you need to learn before getting started. You give up on the idea starting your own internet blog. What if you can access all the best WordPress video tutorials that will guide you through all the necessary steps to get started easily? You click. You watch. You implement. With the ‘WordPress Fast Track 2.0’ video series, I’m going to walk you through walk you through the various aspects of using WordPress starting with just minutes from now. 15 Step-by-Step Videos To Get Your First WordPress Site Up And Running In Minutes! I’m absolutely sure that this training program will greatly help you with finding with setting up your WordPress blog in a few minutes after watching these step by step videos PLUS… It’ll also help you bring your business one step higher above everyone else. All these make this investment truly worthwhile and valuable!